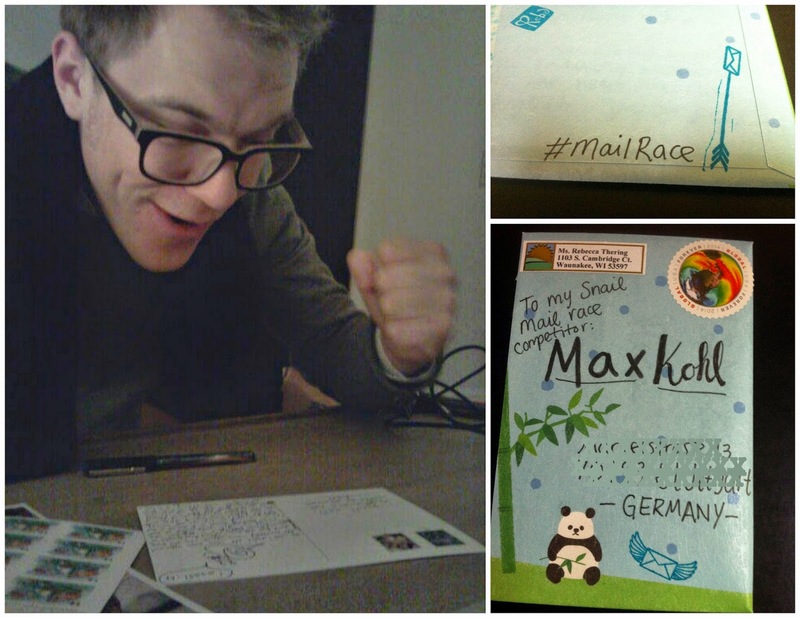 While chatting with my German friend Max the other week (yes, the one who visited me in Madison two summers ago), after explaining the English term "snail mail," he proposed we have a race. We'd both send each other a piece of mail on the same day, and see whose letter arrived first. Heck yes! Why had I never done this before? (And how do I have the coolest friends?!) Especially while living abroad, I'd often figure out how long it took things to get to/from wherever I was living and various locations where I sent/received snail mail to/from. But it had never occurred to me to actually race someone. I'm curious what the results will even tell us, because each piece of mail will be handled by both countries. Update: 2/19/15 - I got home from Mexico to find Max's postcard on my desk. Mom thinks it got here on Tuesday or Wednesday. Meanwhile my letter hasn't gotten to Max yet. Fun idea, and I love the panda! Thanks! That stationery's from Japan—my friend sent it!